This is a handlebar mounted ABS plastic box. 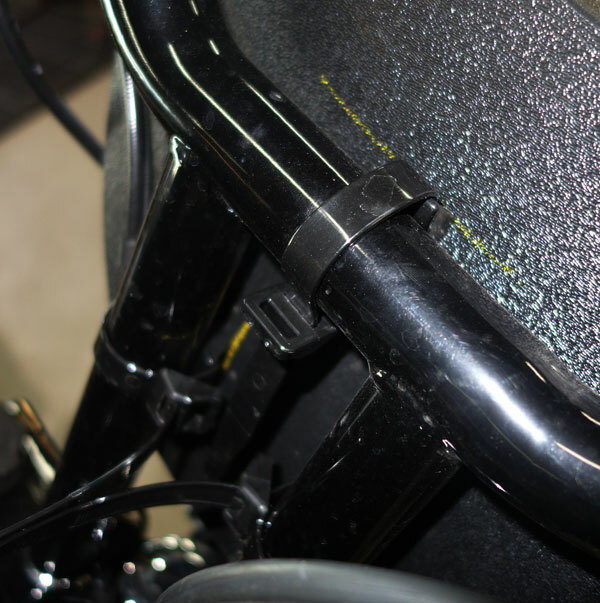 It is meant for taller handlebars but it could really be mounted anywhere that you can wrap the zip ties around. There are three zip tie mounting points on the back that are drilled to work on handlebars risers that are spaced 3.5” apart. 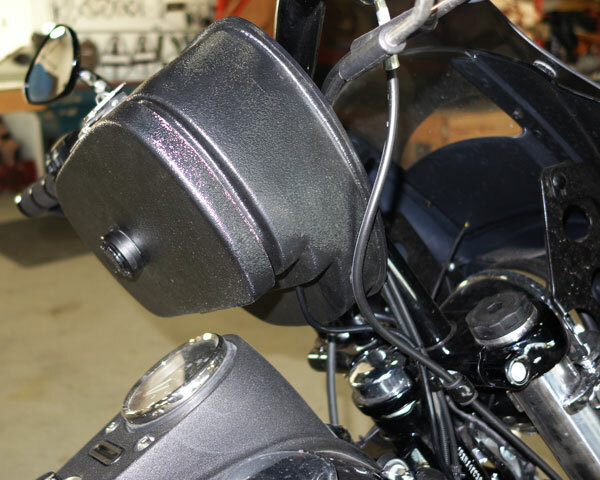 You can order this box with the led interior light and USB charger that can both wire in to the headlight wires on your Harley with tall risers. It is perfect to store your personal items for easy one handed access to your items. 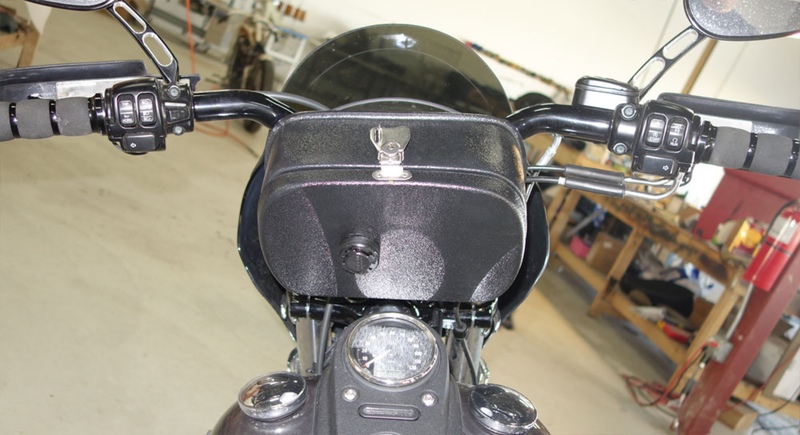 it is shown here on a dyna with 10 rise bars. 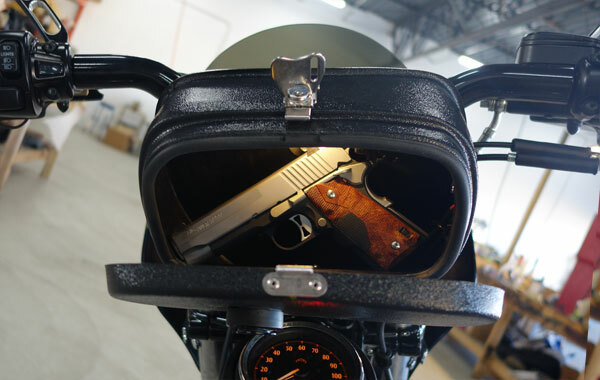 It is waterproof and lockable with a padlock and it also matches our Dyna tactical bags hardware so you could buy three of the same keyed lock at the hardware store and have everything secure and only have one extra key too drag around.